Cafe in Thission in November. Notice the gas heater. 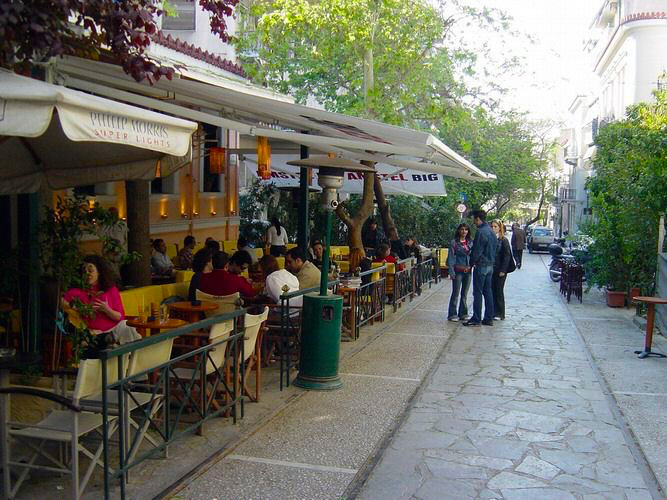 Athenians sit outside even in the winter.